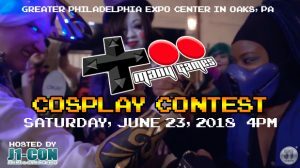 J1-Con will host the TooManyGames Cosplay Contest! 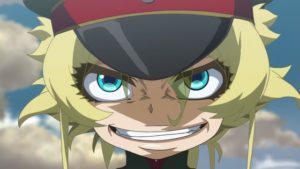 The Saga of Tanya the Evil is getting a anime movie!! 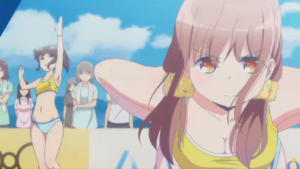 Beach Volleyball anime “Harukana Receive” to debut this Summer!! Welcome to the X-Factor!! Deadpool 2 Red Band trailer!! VIDEO CONTAINS COURSE LANGUAGE. VIEWER DISCRESSION ADVISED. 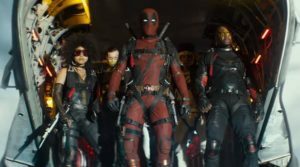 In this latest trailer for Deadpool 2, we see everyone’s favorite “Merc with the Mouth” form a team to stop a futuristic douche from killing a kid. Check out the action and hilarity in this uncensored red band trailer. 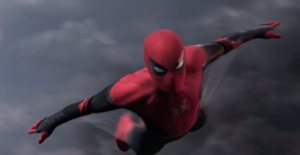 Deadpool 2 hits theaters May 18. 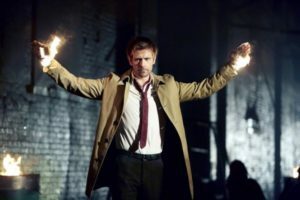 Constantine is back in new animated series!! Master of the dark arts and demonologist John Constantine returns in a new animated series on CW SEED! City of Demons follows his exploits as he fights the devils and the other evils of Hell. Watch as Constantine star Matt Ryan explains the new series. Constantin: City of Demons premieres on CW SEED March 24! Macho Man showdown!! 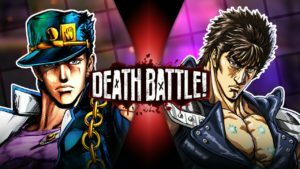 Jotaro and Kenshiro throwdown in Screw Attack’s DEATH BATTLE!! Two of anime’s manliest men flex their muscles as they go fist to fist in an epic clash to see who is the strongest?! Will Jotaro be able to ‘Stand’ against the mighty fist of Kenshiro?! Let find out in DEATH BATTLE!! The White Wolf is on the hunt in Soul Calibur VI!! 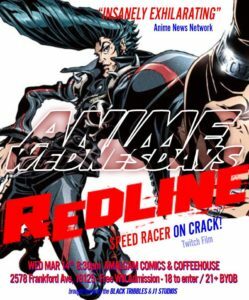 Philadelphia’s ANIME WEDNESDAY Presents… REDLINE! Jotaro storms into Screw Attack’s DEATH BATTLE!! 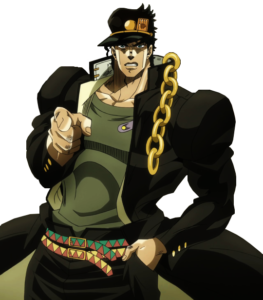 The delinquent from Stardust Crusaders is making his way into the next Death Battle. Wielding the incredibly powerful Star Platinum, his personal Stand, Jotaro Kujo is set to take on his opponent, Kenshiro from “Fist of the North Star.